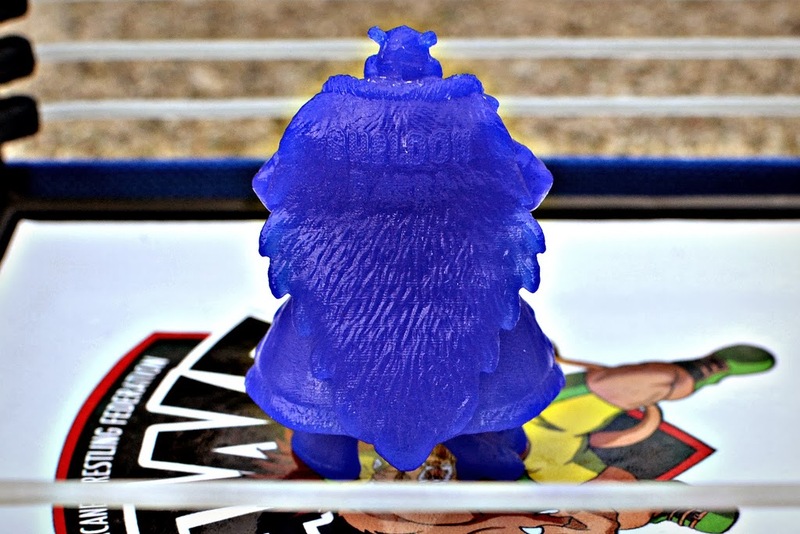 Shortly before the recent announcement and release of the first Mystical Warriors of the Ring figures to be produced in PVC (reviewed here), there were a couple more MWOTR characters released in resin that I hadn't yet shown here on Little Weirdos. Here they are! The first of the two is JOHNNY "TREEGARR" STUMPZ. This figure was released in August, and per usual with MWOTR figures, quickly sold out. Treegarr stands out a bit from the other MWOTR characters released to date in that he's a tree-man instead of an animal-man. Fantastic Plastic Toys collaborated with BigManToys for this one, with the figure being a re-tooled version of BigManToys' original Treegarr Sapling mini figure. The MWOTR version came packaged with a small trash can and some cards featuring cool artwork of the character. 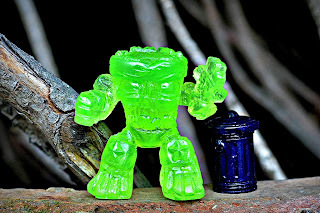 This figure was produced and sold in three different colors: clear "lime green" as shown in this post, as well as "Aztec gold" and "magnetic blue." Treegarr's one of my favorites from the line so far. He's just a really awesome character, and the figure sculpt has lots of fun detail (it's tough to capture all the detail when photographing clear figures, but hopefully you can see what I mean. You can also check out Treegarr in his other colors here). SHELDON SABRE followed Treegarr in the MWOTR resin lineup. Sheldon's a character you might recognize. He was also included in the set of the three debut PVC figures this Fall, but the two figures have different sculpts in addition to being made out of different materials. Here, Sheldon is decked out in his robe while the PVC version is robeless and in a more rumble-ready pose. 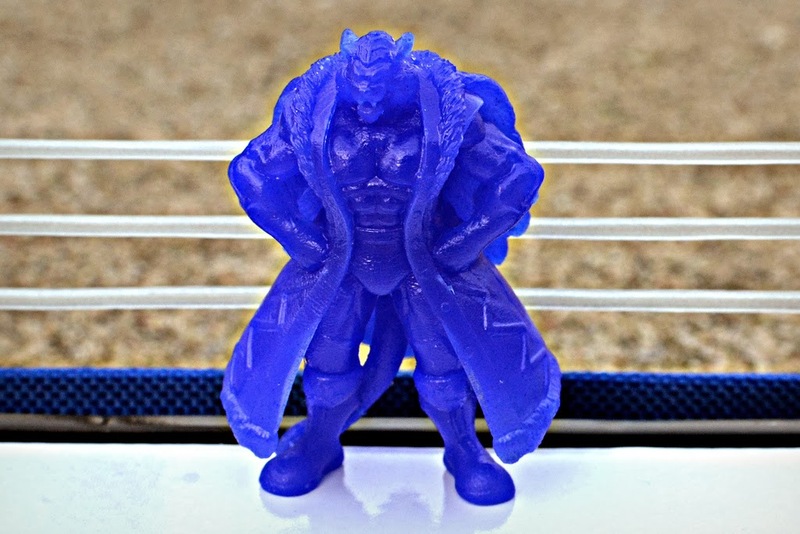 This figure was sold at PowerCon and online in September and was released in two different colors: Thermal color change blue to white (which is pictured here) as well as metallic blue. The release included a comic book and art cards featuring the character. Like most of the other resin figures in the line, Fantastic Plastic Toys produced robed Sheldon in collaboration with The Godbeast, and the result is top-notch. Once again, it's apparent there was a lot of effort in terms of quality control and attention to detail. I especially love the textured back of Sheldon's robe, which even has his name going across the top. What about you? What do you think of Treegarr and Sheldon? You can keep up with all the latest on current happenings and future releases at the Mystical Warriors of the Ring blog here. STOP MAKING ME WANT THINGS! Treegar is just amazing! 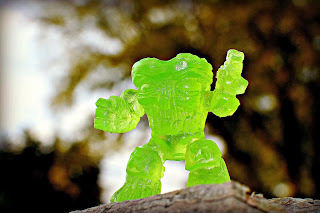 I love translucent mini figures, they look like artfully crafted Jell-O molds! I actually never heard of MWOTR until I saw them on your blog. They pretty dang cool! Are these guys soft and squishy or are they hard plastic? I have a weakness for clear mini figures as well! There's just something about them that makes them extra cool. 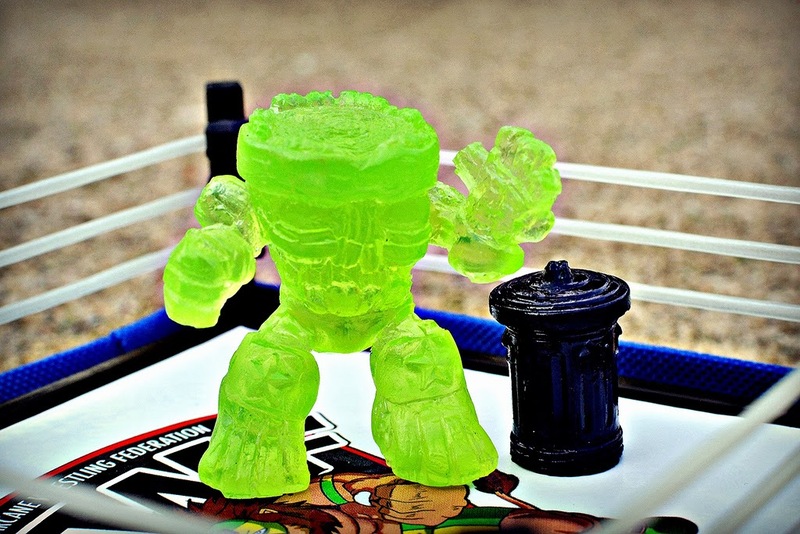 These two guys are made of hard resin, but the people behind MWOTR have started to produce some of the characters in a PVC material similar to the old MUSCLE figures. Those are the ones I posted about last month. Hopefully they'll be able to make many more characters in PVC.